Why didn't nature make brains better at estimating probabilities? 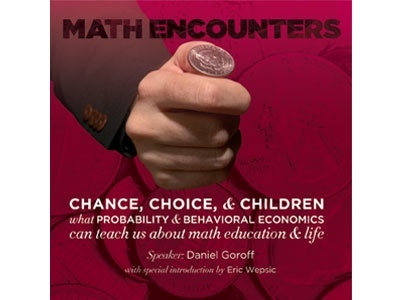 Join Daniel Goroff, Alfred P. Sloan Foundation Vice President and former Harvard faculty member, Harvey Mudd dean, and White House official, as he examines what probability, decision theory, and behavioral economics can teach us about mathematics education and everyday life. 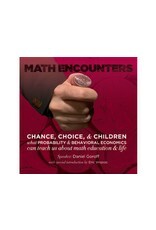 Daniel will be introduced by Eric Wepsic, managing director for D.E. Shaw Group.